Building on the success of the previous edition, this book provides an international focus on cutting-edge issues in the field of victimology. 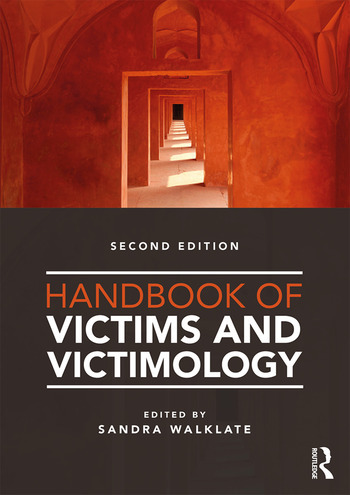 Including brand new chapters on intersectionality, child victims, sexuality, hate crime and crimes of the powerful, this handbook is essential reading for students and academics studying victims and victimology and an essential reference tool for those working within the victim support environment. Sandra Walklate is Eleanor Rathbone Chair of Sociology at Liverpool University. In 2016 she was appointed as conjoint Professor of Criminology at the University of Monash, Melbourne, Australia, working with colleagues there as part of their Gender and Family Violence Research Focus Program. She also holds an adjunct professorial role at the Queensland University of Technology (QUT), Brisbane, Australia (2015–2018).